Priority on Crossroads: There are two types of crossroad unmarked and marked. Unmarked Crossroad: No one has priority on approach to unmarked crossroad so proceed with caution. Marked Crossroad: May have give way or stop sign and road markings or may have traffic lights. To identify crossroad look for road signs, road markings, gap between the kerbs and houses from the road the opposite, traffic joining and leaving from the road opposite. Apply mirrors, signal, position, speed and look routine as soon you identify / see the crossroad. If you are on the main road you pass through uninterrupted as traffic emerging from the side roads has to give way. If you are emerging left or going straight ahead at the crossroad you have priority over the traffic from the road opposite if they are turning their right but never assume as sometimes they don’t stop especially if they have been waiting for a while so try to get eye contact if they are not looking at you and looking for the gap probably they will pull out. 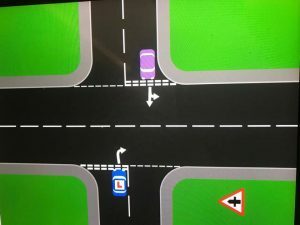 If you are emerging right at the crossroad then traffic from the road opposite have priority if they are turning their left or going straight ahead. No one has priority if you are emerging right and the traffic from the road opposite turning their right. 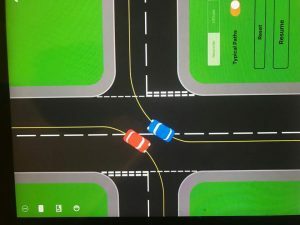 You both can turn at the same time. You will have two options. Near side to near side (turn in front of each other) or offside to offside (turn behind each other). 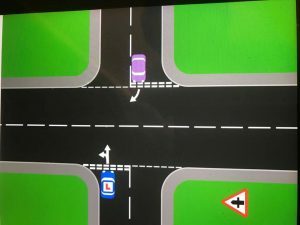 Wait in the middle of junction (point of turn) for the oncoming traffic if you are turning right at the crossroad controlled by traffic lights and go when it is safe. 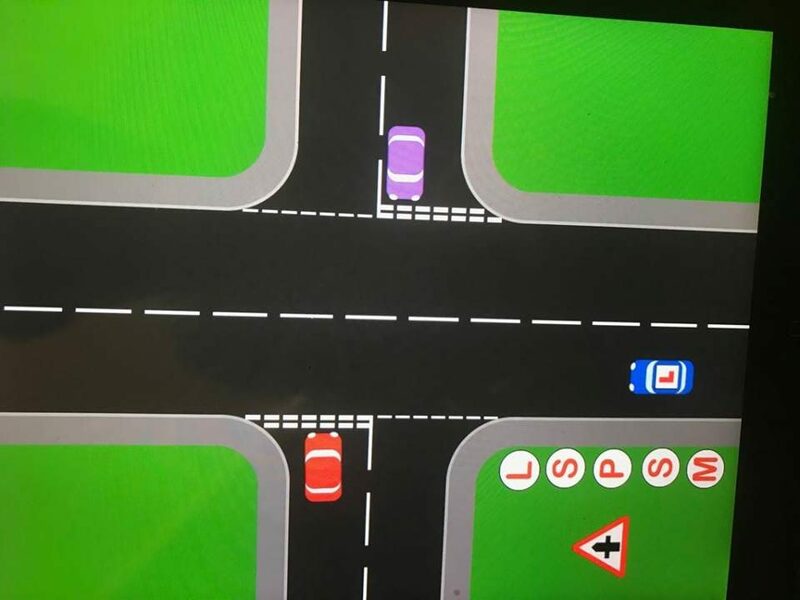 Once you are waiting in the middle of the junction then you have to clear the junction even light change to red as traffic from the other sides will start to move. I hope you have found this post informative. Find us on Facebook , Twitter , Linkedin , Pinterest , Google+ , Instagram , Google Maps for driving news and updates.